Are you a slave to your smartphone? Do you need time and space to think? Do you feel exhausted by being constantly connected? 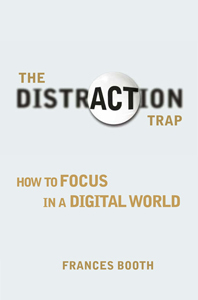 The Distraction Trap examines our relationship to technology in a practical, step-by-step guide. It helps you to focus in a digital world, win back time for what matters, and swap stress for a sigh of relief. It helps you use technology in a way that works for you. The Distraction Trap is available in English, French, Korean, Italian, Arabic, Chinese and Spanish. "This is an excellent, engaging and clearly written book with much food for thought. 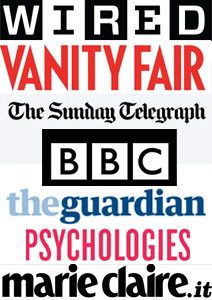 Given some of the alarming facts and research which Frances quotes, perhaps it should be issued with every smartphone, laptop and iPad." This should be at the top of everyone's summer holiday reading list ... away from all the beeps and pings you really have the time to read it clearly, digest the information and work out what changes can work for you. Within the first few chapters, this book had me switching off all phone notifications, stopping my habit of checking email whilst still in bed in the morning, plus archiving 5 years of email to employ the ever-satisfying Inbox Zero method. As a result, my days are no longer dictated by the endless barrage of notifications and distracting email (aka, 'mini-rewards'). I check when I'm ready to check, and focus on what I need to focus on. Found the tips and steps easy to follow and extremely helpful. I realise now just how much time I have previously wasted and how I can be more effective in my work and approach to tasks in the future. Wish I had access to this book, its analysis and suggestions much earlier in my career. I confess I didn't think I was particularly hooked on technology before I started reading this, but I quickly became very aware of how often I reach for my smartphone for no particular reason, and how much time I waste by doing so when I could be getting on with more productive things. Follow the 9 step strategy or just dip in to get a few ideas and you will soon realise how a more focused approach will allow you to be more efficient in your work or just give you some time back to talk to your loved ones. This book is a sobering survey of the way in which digital communication technology has changed the way we work and live, concentrating on the overlooked problems rather than the much-trumpeted benefits.